Big update! Free Anastasiy’s Extension Manager 3.0 is up! Author AnastasiyPosted on October 17, 2018 October 17, 2018 Categories Extension Manager, UpdatesTags Adobe, Animate, Dreamweaver, Drean, Extensions, Fireworks, Flash, Illustrator, InDesign, Install, Manage, photoshop, Premiere, tool, Uninstall, XD1 Comment on Big update! 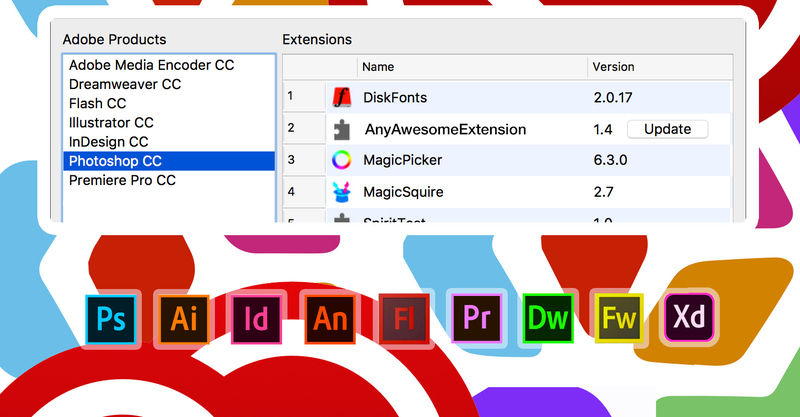 Free Anastasiy’s Extension Manager 3.0 is up!